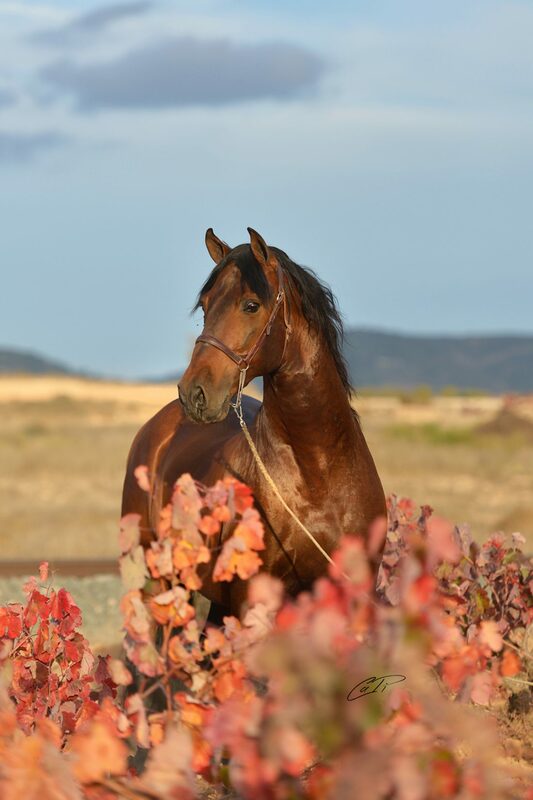 Bay stallion, pedigree 100% in Bocao, of the brand of D. Manuel Danvila that counts among his innumerable qualities size, good character, spectacular beauty, and harmonious movements, qualities all of them of the Spanish horse. 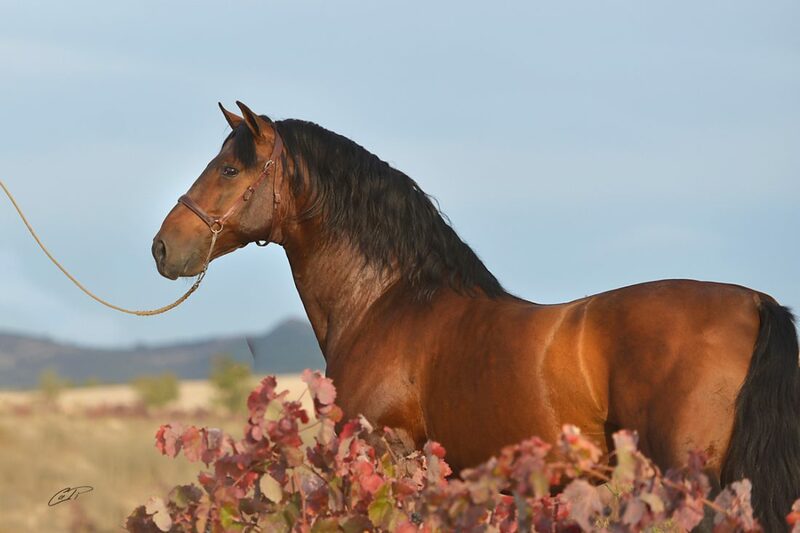 As for its origins, by paternal line, it counts with outstanding stallions of the brand of Urquijo, Estimado IV by Devoto II, and its maternal line Opalina II by Atlantico 1981 (of the Iron of Gómez-Cuétara) and Ambiciosa II (of the iron of Urquijo). Head of great expression and straight profile. Small ear finished in point. 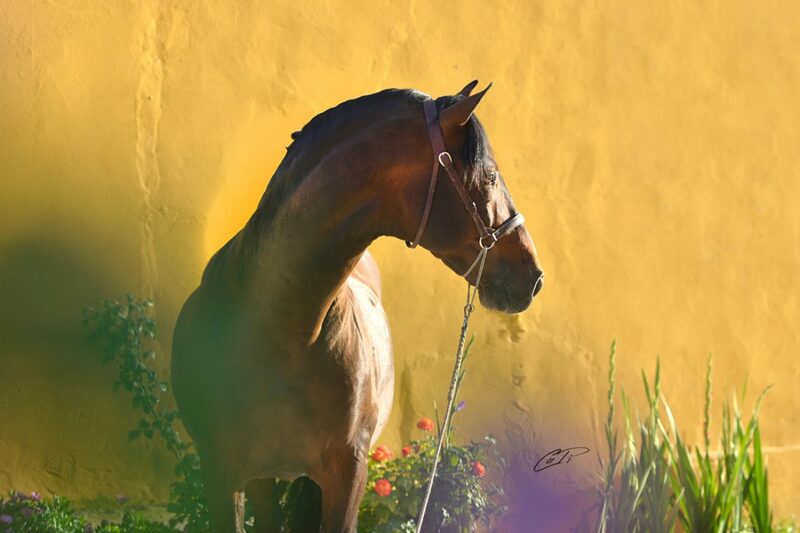 Powerful well formed neck, with perfect insertion in nape and withers. Broad, well-directed back. Strong back that ends in round rump, with insertion of low tail well implanted. 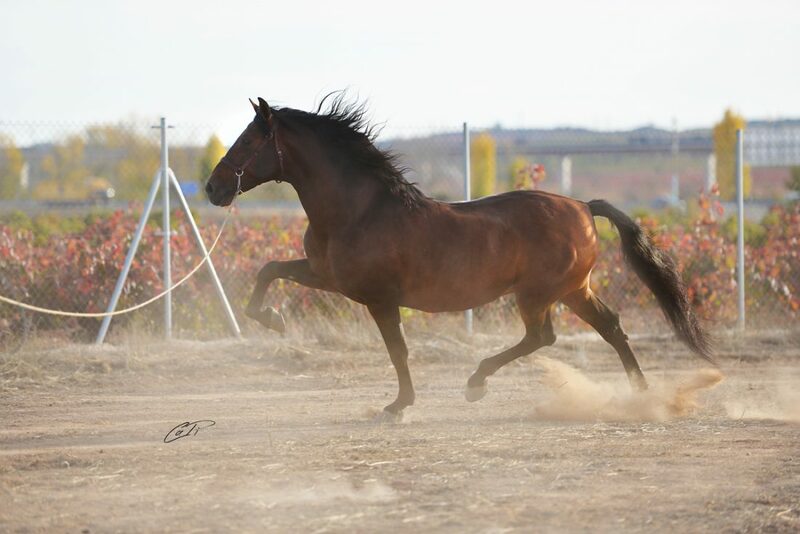 Both his front and back legs are very correct, with a good bone structure. 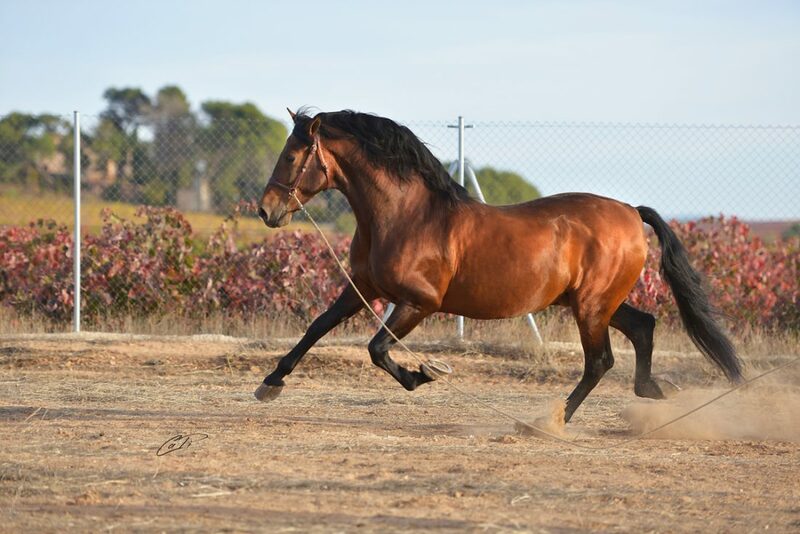 Typical movement of the Spanish horse ” in bocao”pedigree , with an expressive pace, marking the footprint. 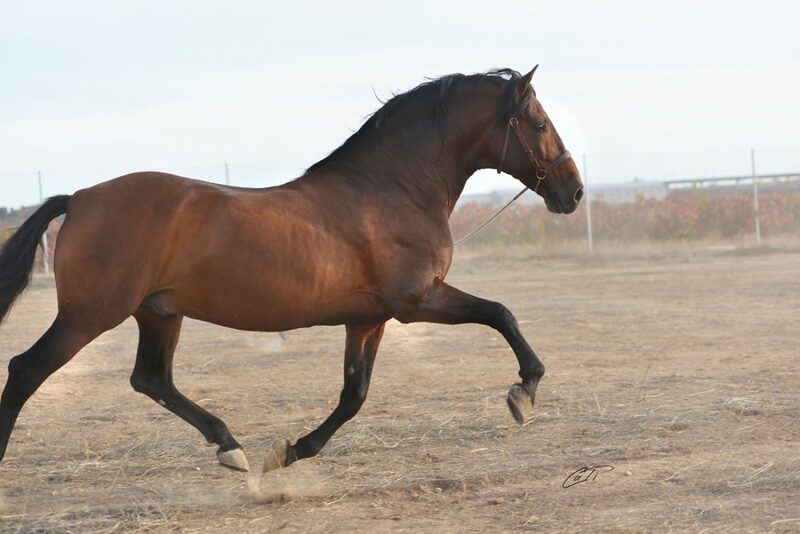 Trot with knee elevation extending forward, and impulsing well with the hindquarters. Paused gallop, defining the very well times very.